It was a tough morning on the bay with winds up to 30ks and high swells. Mark launched from Altona and headed between P2 and T16 markers finding some open space. 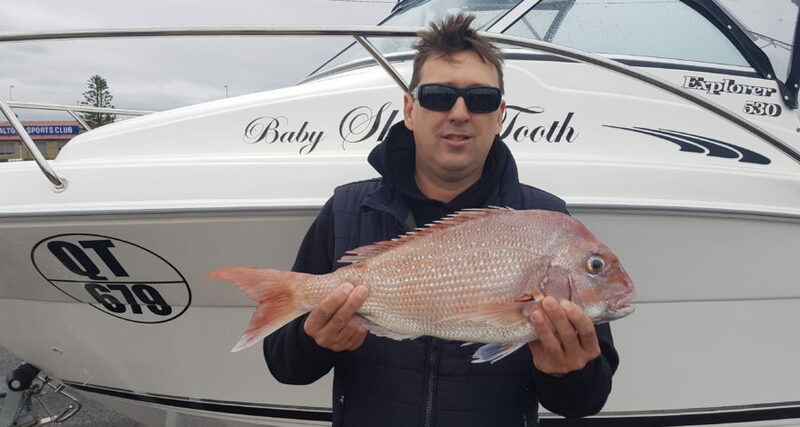 After dropping a couple of good bites Mark landed a nice mid size snapper. This was caught on a full unweighted pilchard. Content with a snapper and a couple of flathead Mark called it an early morning.